This post was submitted by Ezequiel “Zeke” Silva III, MD. This year, the ACR already secured Medicare coverage for lung cancer screening and helped repeal the flawed Medicare Sustainable Growth Rate (SGR) payment formula (with no imaging cuts to offset SGR repeal cost). Now, the College has spearheaded inclusion of a massive rollback of the Multiple Procedure Payment Reduction (MPPR) to Medicare reimbursement for interpretation of advanced imaging scans performed on the same patient, in the same session, in the Consolidated Appropriations Act. This bill was passed by the House today (Dec. 18) and is expected to pass the Senate in the next 48 hours. ACR-backed Protecting Access to Lifesaving Screenings Act (PALS Act) primary language is also included in the bill. 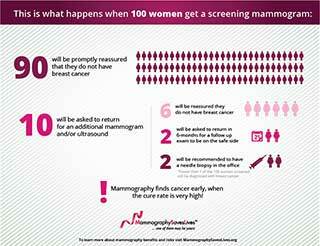 This would delay implementation of draft USPSTF breast cancer screening recommendations for two years. The delay would give the College and allied organizations time to address the Task Force’s guideline development process and the narrow science the USPSTF reviews to continue guaranteed mammography coverage for millions of women nationwide. This year’s victories expose the truth that complaints about “what does the ACR do for me and my patients” now ring hollower than ever. Radiologists need to embrace that health care is changing; that ACR is our voice to help shape that change; and that the College is stronger on our behalf when more of us become ACR members. If we are going to have a meaningful seat at the table as health care evolves, we all need to join ACR, get involved and take advantage of College resources to make our voices heard to our lawmakers, policymakers and health system administrators. The College, ACR members and staff have worked very hard for a number of years to produce what has been a tremendous success for radiology on Capitol Hill and in state houses nationwide. 2016 can be even better, but we all must join and work together to make that happen. I urge you to invite your colleagues to become ACR members and direct them to the ACR website where they can Join Today. Why not join the growing number of private practice groups and academic departments that have set policy that ACR dues are provided for all radiologists? The College is your voice! I also invite you to use the comments section below to share how you let colleagues know why they should be ACR members. Why do you value ACR membership? This post was submitted by James V. Rawson, MD, FACR. As chair of the ACR Commission on Patient and Family-Centered Care, I know radiologists don’t always have the opportunity to interact directly with patients. However, such conversations empower patients to make informed health care choices. This is a key part of a positive patient experience increasingly tied to reimbursement. It is also good medical and business practice to establish and strengthen relationships with those you serve. One way I, and other radiologists, gain and share information with those outside radiology via social media, is to take part in “tweet chats” organized by the Health Care Leaders group under the hashtag #HCLDR. This is a vibrant online community of people who share a passion for improving health care. The chats are held every Tuesday at 8:30 pm ET. Participants include patients, doctors, nurses, CEOs, IT folks, caregivers, policy makers and students from around the world. Chat topics include health care leadership, health safety, health care ethics and health care motivation. The latest #HCLDR chat that I took part in drew more than 100 participants; generated 1,200 tweets; and created more than 5 million impressions in one hour (number of people who potentially read these tweets). Here is a transcript of that chat. Social media use is just one of a number of ways that you can increase your communication with those you serve, their caregivers, and with others in the health care arena to gain insight on how you might improve the care you provide and your patient’s satisfaction with that care. I invite you to read a Q&A I did with the ACR Bulletin that more fully explains the need for patient- and family-centered radiology. I also invite you to check out the Patient- and Family-Centered Care Resources section on ACR.org for more information on steps you might take to provide more patient- and family-centered care and ease your transition to new value-based health care payment and delivery models. And, if you feel like sharing, I would ask that provide in the comments section below any steps that your practice has taken to provide more patient- and family–centered care. This kind of idea exchange helps all of us.